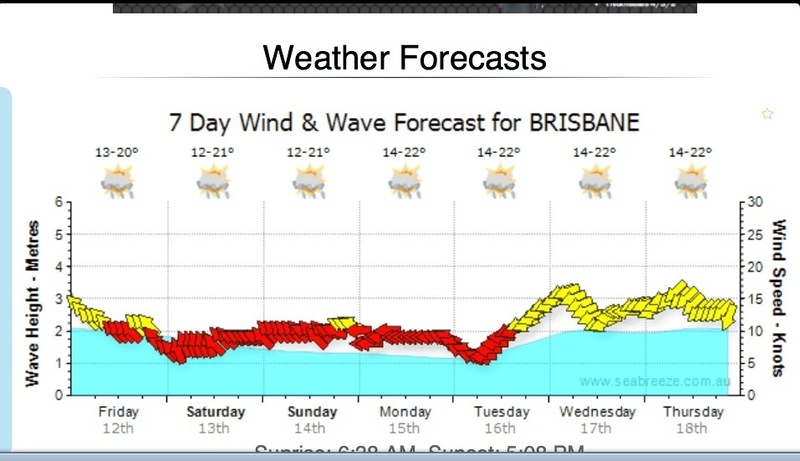 Peeeerrrfect wind conditions to take the boat out this weekend. As much as I am aching to go sailing, I’m quite glad to have a motor boat for our weekends. It gets us to where we need to be much faster. Sailing will be for when we have more time… That will come soon enough, I hope. Of course it is showing rain. I have decided to ignore that part. iPhone weather predicts sunshine with only slight cloud cover. That sounds a bit better. So with both forecasts combined, it should be a perfect weekend!! I hope we can find some good fish for sashimi. This might warrant a visit to Kingfish highway. Happy weekend everyone. Wishing you all happy and safe adventures. Conflicting weather reports… now that rings a bell (lol).